Snacks are something that we all love and cannot go a day without. It is difficult to even imagine spending an evening without snacks. We generally do not take much care of whether our snack is healthy or not. What matters is that it should be mouth wateringly delicious. 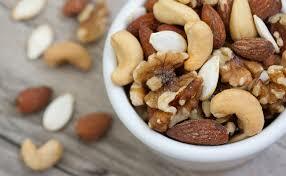 Snacks are something we eat in small amounts in between meals. A snack should not be so heavy as to ruin your appetite for the next meal, but then again it should be just filling enough to quench your hunger temporarily. It is advisable to not eat snacks outside every day. It’s just not healthy. It is a great idea to make some snacks yourself when you are hungry. Or if it is possible you can also make something and store it so that you can eat those as snacks in future. Bamba, Israel: Peanut butter flavoured puffs are the main contents of this snack. This has a superior taste and is mouth wateringly delicious. The texture is something that feels good inside your mouth. It is available in different flavours as well. Takis,Mexico: These are similar to hot Cheetos and are widely popular throughout Mexico. It is definitely worth a try and comes in a lot of different flavours as well. GulabJamun, India: This is a particular type of sweet which has been fried and tastes just a like a little piece of heaven. This is best eaten hot. When the warm sweet melts in your mouth and you can feel the rich taste of each of the ingredients accentuating each other you just feel complete. This is one of the best snacks ever. Pocky,Japan: These are basically stick-like biscuits which have been dipped in chocolate. Many other flavours are available as well. Biltong, South Africa: This is the tastier counterpart of American jerkey. This is a must try. Iwashisenbei: It is one of the most popular snacks in all of Japan. This is basically flavoured sardines. Above are six of the best snacks throughout the world. Just a simple online search would show you many more snacks which you should try if you get the chance.